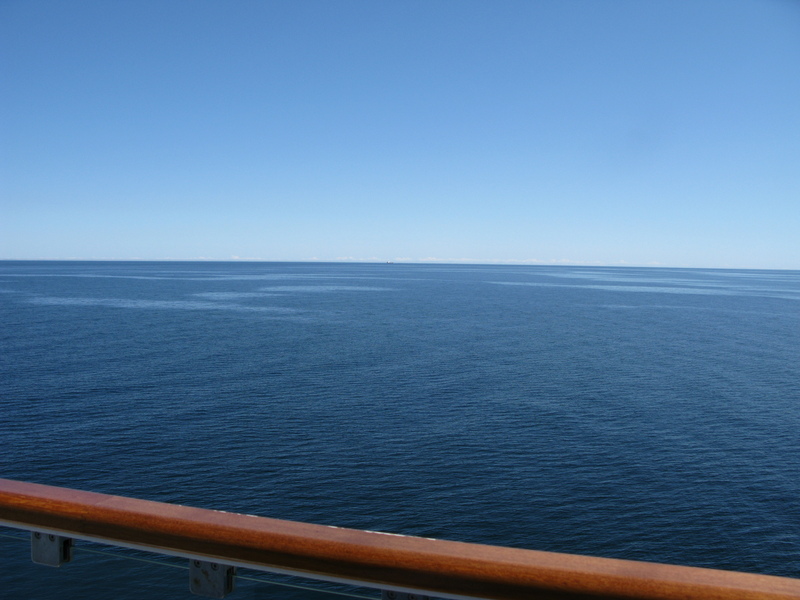 As intimated earlier, the weather improved and turned into a glorious day made all the better by the fact that our balcony was on the sunny side of the ship so we just sat out there enjoying a drink or tow, as you do, and watched Germany and its people drift by. I have to say however that as we were sailing along we kept getting these aromas of BBQ’s which did make us a little hungry and wishing we out having our own BBQ. And so, off to bed. Tomorrow brings with it a full day at sea in what promises to be a gloriously sunny and calm day (see pickie below). Better still, we have wine tasting in the afternoon (normally at these events, Debbie finds a wine she likes then spends the rest of the session tasting it). Maybe, I’ll try to lose the weight tomorrow.